Cambodian Prime Minister Hun Sen, on Sunday, shared a meaningful message attached with eight photos to remind Khmer people the reason Cambodia plunged into wars and Pol Pot regime in the 1970s. According to Prime Minister, wars in Cambodia were created by incitements and interferences from foreigners and some ill-intended groups. 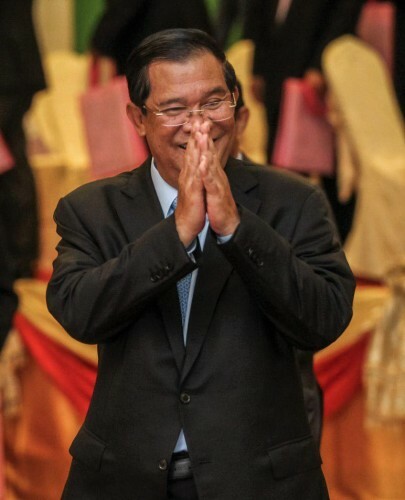 The premier added that Cambodia had had enough of wars and separations of family, particularly during Pol Pot genocidal regime, so “peace” is greatest option. “During my youth life, I never knew joy and happiness; I did not even complete education. Becoming a soldier at the age of 18 to fight Pol Pot, I wounded and lost my left eye. We are done with the wars and separations. Now we choose “peace” above all. Peace is the oxygen of life,” the premier wrote. “May we take good care of peace and prosperity of our nation for the future of the younger generations,” he added.